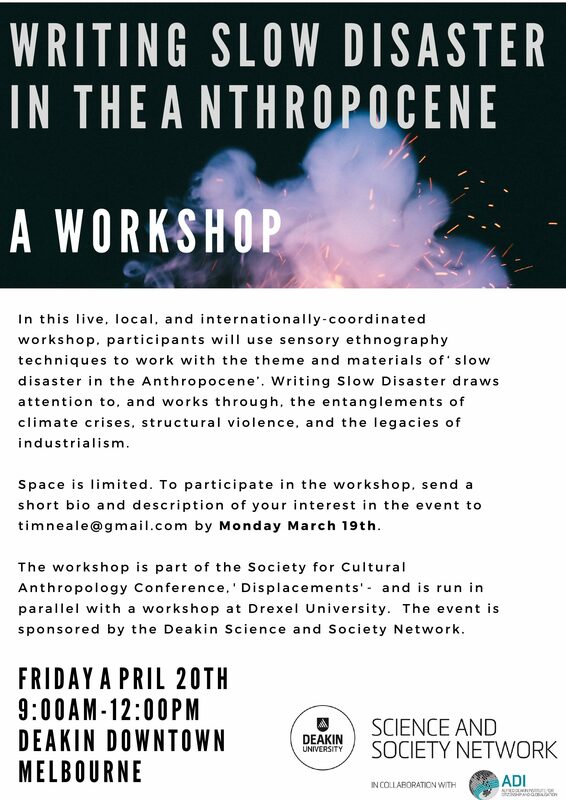 Deakin University are hosting the Anthropocene Campus Melbourne between the 3rd and 6th of September, 2018. Participants take part in a range of lectures, field trips and workshops to explore the theme of the ‘elemental’. Confirmed speakers include Karen Barad, Hannah Landecker, and Margaret Jolly. More information can be found here.